Overall a fabulous apartment and also pool area was lovely. Staff very helpful and pleasant. Everywhere spotless excellent value for money. Can’t understand why it is only 2 star rating? The place was amazing, the facilities was excellent and most importantly the staff were every welcoming and treated us like family. I would strongly recommend this wonderful hotel.. we are definitely visiting soon.. thanks for everything guys!! The tranquillity of the apartments was lovely. Very peaceful and relaxing. I stayed with my girlfriend and two friends and we all had an amazing time. I would definitely go back and would recommend this place to all. Tito was especially friendly and helpful. 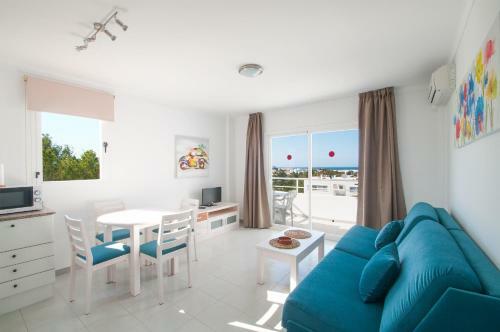 Great Seaview and minutes away from San Antoni. Beautiful and relaxing poolside area. Amazing attention to kitchen amenities and cleaning service. They noticed we had pulled out the extra blankets out from the closet as it got chilly at night and they started to make the bed with extra layers the very next day. But the friendly personal staff were the best of all. Awesome views. Close enough to the local town but very peaceful. Great swimming pool area. Arhoson ni yna ar gyfer y Triathlon Cross yng Cala Bassa. Mae'n lle hyfryd ac yn dawel ger Bae San Antoni. Pawb sy'n gweithio yno yn gyfeillgar iawn. We stayed here for the Cross triathlon in Cala Bassa Lovely quiet place just outside San Antonio Bay with a friendly host and staff. Tito was an excellent host and couldn't do enough for all of the guests. Tito kindly arranged for us to be picked up from the airport by his colleague Jose who was waiting for us at the arrivals exit. Check in was fast and easy, no queuing, a totally relaxed experience. When we visited towards the end of the season it was fully booked but you would have never have known it. The place was lovely and quiet and very peaceful. Would highly recommend if you are looking for a quiet relaxing holiday away from busy families with little children. I would also recommend hiring a car for a few days to look round the Island and visit Ibiza old town. 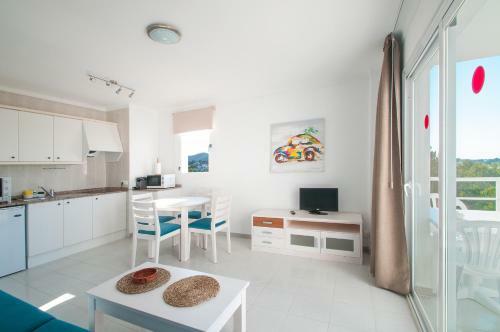 Lock in a great price for Apartamentos Sunset Oasis Ibiza - Only Adults – rated 9.3 by recent guests! Bright, air-conditioned apartments at Apartamentos Sunset Oasis Ibiza include free Wi-Fi and private balconies overlooking the sea. 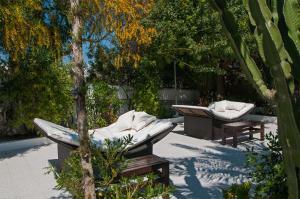 They are set 2,450 feet from the beach and offer an outdoor pool. 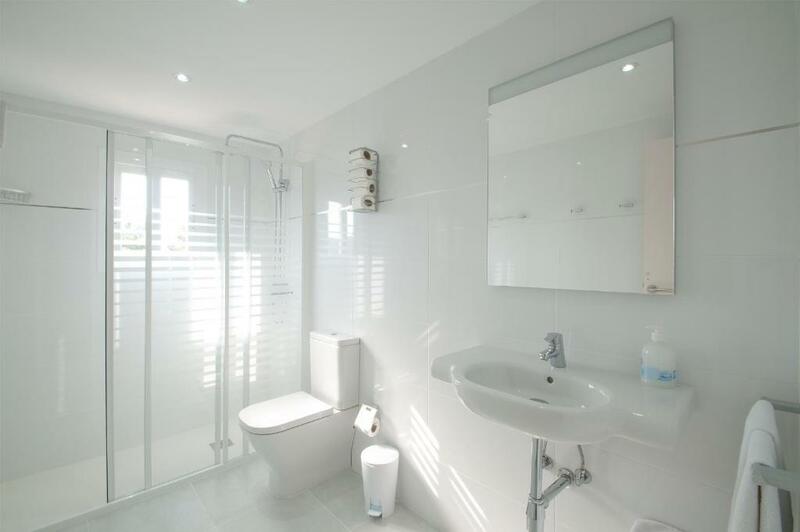 Featuring a modern, minimalistic décor, the apartments include a lounge with sofas, satellite TV and a safe. The kitchenette is equipped with a microwave, hob and fridge. 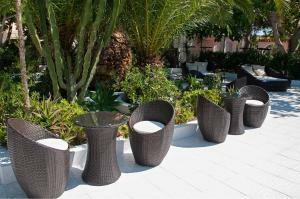 Sunset Oasis Ibiza’s sun terrace has Balinese beds, loungers and a poolside bar open 24 hours. Many bars and restaurants can also be found in central San Antonio, a 10-minute drive away. Ibiza town and Ibiza Airport are both under 30 minutes’ drive away. Free private parking is available at the apartments. This property also has one of the top-rated locations in San Antonio Bay! Guests are happier about it compared to other properties in the area. This property is also rated for the best value in San Antonio Bay! Guests are getting more for their money when compared to other properties in this city. 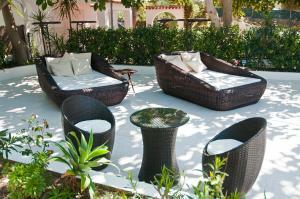 When would you like to stay at Apartamentos Sunset Oasis Ibiza - Only Adults? Featuring a balcony with sea views, this bright, air-conditioned apartment has free Wi-Fi and a lounge with sofas, satellite TV and a safe. The kitchenette is equipped with a microwave, hob and fridge. There is a twin bedroom and a sofa bed. 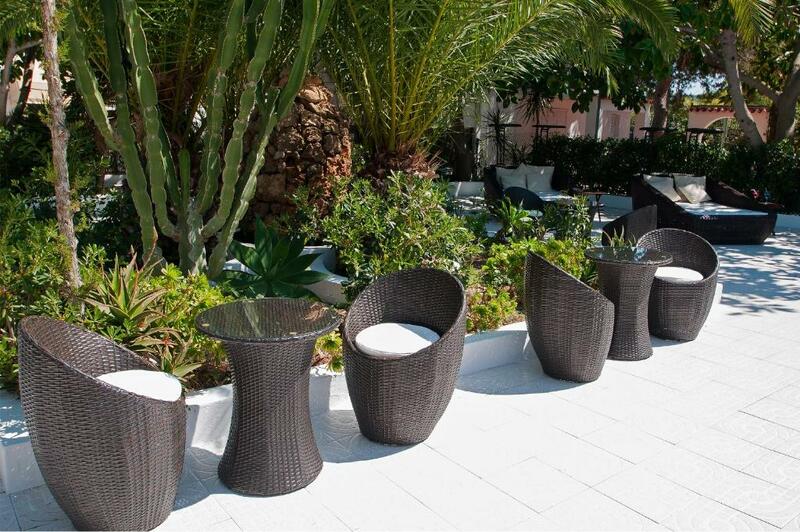 We are situated in a relaxed area but with an easy access to the most famous places of the island, that is why people apreciates our location. Quite and relaxed but on the other side well conected and with a wide offer of restaurants, shops and services near by. House Rules Apartamentos Sunset Oasis Ibiza - Only Adults takes special requests – add in the next step! MasterCard (virtual credit card) Apartamentos Sunset Oasis Ibiza - Only Adults accepts these cards and reserves the right to temporarily hold an amount prior to arrival. 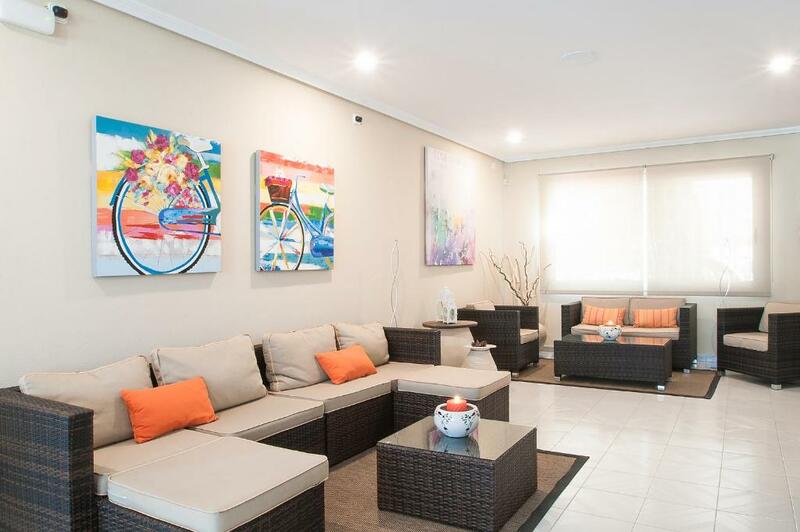 Apartamentos Sunset Oasis Ibiza - Only Adults accepts these cards and reserves the right to temporarily hold an amount prior to arrival. There's really not much to not like. There is a gradient hill to walk up coming back from the shops and restaurants which didn't bother me as I'm used to walking (about 6 or 7 minutes) but it did take a couple of days for my wife to get used to it mainly because of the shoes she was wearing. The hosts were super welcoming, the location is lovely and quiet and the pool was lovely. It's also great to have the option of eating something too. Lovely quiet apartments not too far from San Antonio. Location was great for driving around the island, could use a couple of back roads to avoid driving through the town. The sofa bed was great in the living area as 2 separate beds. It can be very loud, depending on the guests. Unfortunately we also woke up several times in the night when other guests came home since you can hear everything through the window/walls in the bedroom. Also the use of a drone in the pool area was accepted with all the filming and noise... The privacy of the other guests at the pool, balcony etc. was obviously not so important. Great sunset view. Beautiful pool area. Can be very relaxing and calm (temporary). The staff is generally friendly and helpful. We liked the offsite location on that side of San Antonio. We should of stayed longer! Perfect location & the staff was always helpful.